Brand choices for preserved and processed meat sticks around here seem to be somewhat limited. Off the top of my head, I can think of local Seattle favorite Oh Boy! Oberto, Slim Jim, Jack Links and maybe some gas station varieties you’d never admit to eating while coherent or sober. It gets even more crazy when you bring in a product like cheese, which in my mind is a food that is always meant to be refrigerated. And people, this here isn’t just a regular beef stick. This is steak, it’s like a freakin’ vacuum-packed filet mignon for fifty cents. Oh Boy! Oberto’s newest campaign uses the slogan “Eat Like An Alpha” but if your diet consists primarily of MSG meat sticks, you probably won’t be leading the pack (maybe in your World of Warcraft raid). This coming from a person who’s probably eaten a metric ton of beef jerky and spent collective days in front of a computer with glazed over eyes and my trusty headset microphone. 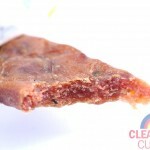 Beef jerky sticks usually come in two standard forms: your garden-variety cylindrical sausage-style Slim Jims and flattened ‘n’ forms meat strips, which is which this is. 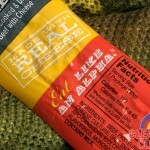 I really couldn’t taste any cheese flavor in this, artificial or otherwise. Perhaps Oberto should take heed of other beef sticks that also come partnered with its own separate preserved cheese stick. However, I prefer to take my beef straight-up. Feel free to make any innuendos from that folks, it’s on me. 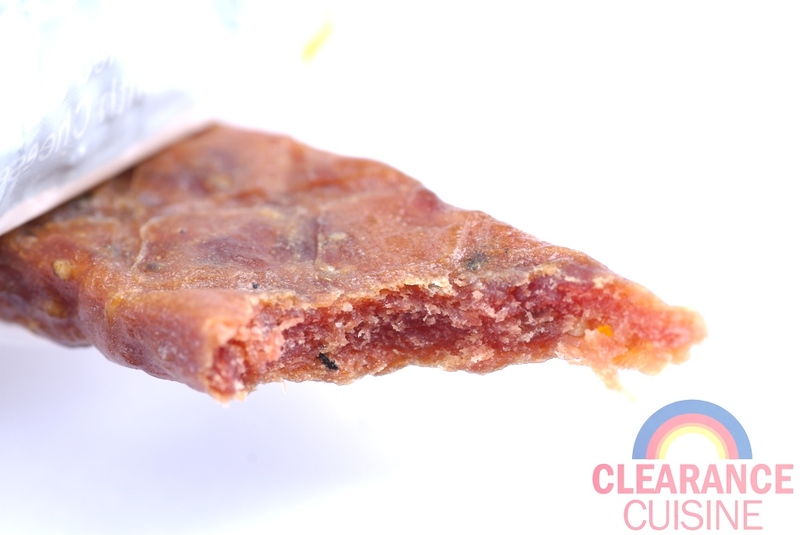 Apparently Oberto also makes another variety that kicks it up a notch and jumps on the bacon bandwagon with their “Cheddar Bacon Steak & Cheese” stick. I think I’ll pass on that one, if not for the probable overload of “smoke flavoring”. This entry was posted on Friday, March 11th, 2011 at 6:00 am	and is filed under Food. You can follow any comments to this entry through the RSS 2.0 feed. Both comments and pings are currently closed.